PR. You’ll know it works when it works. A coded ad in a newspaper can provide a measure of tracking. A coupon is pretty straightforward. But PR? Sand slipping through your fingers? How do you measure the grains of sand that make up a PR sandcastle? PR Works has coined the phrase “Direct Public Relations”, a hybrid which utilizes the power and credibility of news media as part of an integrated direct marketing plan. Previously seen as largely an unquantifiable “image” tool, this new approach to PR is specifically designed to elicit immediate action and trackable response. “Direct Public Relations” encourages your audiences to respond to free brochures, a complimentary consultation or a free item so that the client can capture the name, address and telephone number of a new prospect. Additionally, the response mechanism — ranging from a telephone number, fax number or e-mail — will be coded so that response from specific PR exposures can be monitored. PR is like casting a massive net on to the ocean. When you pull it up you’ll discover a wide bounty. A buffer when negative news about your company occurs. PR Works to help you develop and expand awareness of your products and services. The immediate impact of this awareness is additional clients and sales. The long term goal is to establish ‘top of the mind’ positioning of your company as the choice for products and services. Often referred to as the ‘free’ ad, public relations provides a third-person credibility not obtainable through ‘paid’ advertising. This ‘editor approved’ information is said to have 10 times the impact of traditional, paid advertising. 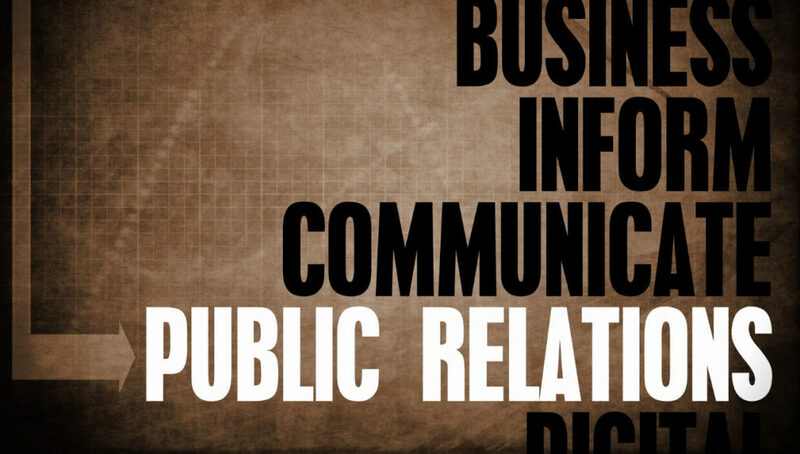 Public relations helps ‘position’ your company as the ‘top of the mind’ choice and ‘innovator’ in your field. This brand name recognition and expert position will pave the way for new and expanded business. In effect, the media blows your horn for you and, if well orchestrated, you can name the tune. To fully maximize the impact of publicity you must develop a database of editors for all daily newspapers, weekly newspapers, business journals and trade publications that reach your various clients and prospects. Additionally, you should include assignments editors and public service announcement directors of cable TV stations, VHF TV stations, UHF TV stations and radio stations that impact your potential audiences. Think not only of your immediate client/customer, but those who influence them – peers, family, etc. Several news source references are typically available at your local library — including Bacon’s Publicity Checker and Burley’s Publicity Checker. Your local daily newspaper may print the article this week. Your community weekly may run it next week. The regional business journal may not have space for it until next month. Yet, the cumulative effect is ‘time released’ visibility. You begin to surround your various audiences with positive messages. Your name seems to be everywhere. Soon when someone thinks of your service, they think of you. When Avoid flowery language and puffery. A picture tells a thousand words, therefore you should provide a photo (in focus and black and white) to illustrate your news release when possible. Although you can attempt to convince the editor to assign a photographer to your event, you will likely receive the response of ‘we will get to it if we can’. Often times a more pressing news event takes precedent. Provide your own photos, but hire a professional or provide materials that are similar to what a professional would produce. Follow up is essential. Telephoning an editor can be a streamlined method of developing rapport, but remember several key elements: Be familiar with their publication. Don’t call “on deadline”. Typically for daily papers deadline is prior to noon. For weekly editors you should probably avoid Monday and Tuesday as they struggle with last minute stories and production. Get to the point. These are “very” busy and stressed people, give them your best benefit statement as to why they should use your story, suggest additional stories of interest to their readership, and confirm when they may be able to use your story. Don’t ask the editor to send you a copy of the publication with your story in it. You are attempting to build bridges, not burn them. You can call the circulation department and buy copies of the edition your news note appeared in. Ride the coattails of a pre-existing story that is already in the news. Editors seek local comment and ties to national stories. For example, the Associated Press writes a national trend. You contact the press to provide the “authoritative” word, the local angle and examples. Package your story so that is of use and interest to an editor’s readers. Get that story to the right editor. Follow up with enthusiasm and diplomacy. Continue to keep the channels of communication open. To discuss your public relations and marketing opportunities, please contact Steve Dubin at 781-582-1061 or click here to request more information.